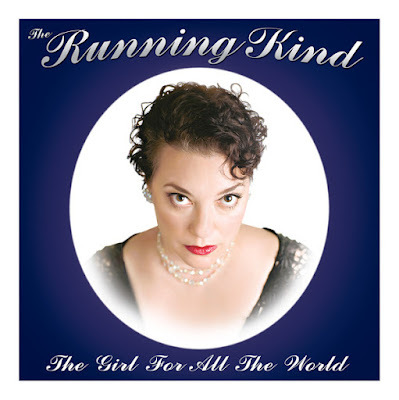 Album Review: The Running Kind "The Girl For All The World"
If positive energy translated to cash, The Running Kind would have more money than Bill and Melinda Gates. With the alt country band's new album "The Girl For All The World," The Running Kind offers a comfortable, heart warming sound that fills the soul with joy. In short, it's a big success. The album begins with the easy-going "Life To Go," which offers stellar vocals and a melodic beat. It's followed by the title track "The Girl For All The World." This Americana track is especially noteworthy because of the clever vocal performance of Leslie Bosson. She and her husband, Matt, formed the band. However, the album picks up the beat with "Two Roads," which is a traditional country gem with infectious harmonies and interesting lyrics. The biggest surprise on the album is the honky-tonk cut "Seemed Like A Good Idea." Single Review: Bruce Robison "Heartache To Houston"
A new Bruce Robison single always brings a smile to the face of radio program directors. The Bandera, Texas native has a reputation of solid country music standards. "Heartache To Houston" is no exception, and it's another winner for Bruce Robison. "Heartache To Houston" starts out as a quiet love song and slowly builds to a comfortable beat that is well suited to Robison's reassuring country voice. The track was written by Robison, Miles Zuniga, and Gary Massey. Zuniga also produced the cut. As always, the vocals are impeccable, and the instrumentation is top notch. At its root, the song is a beautiful goodbye message to the woman he loves, and the fine lyrics deserve special attention. However, Bruce Robison's vocal interpretation elevates the song to an even higher level. He is a storyteller, and we're his anxious students. But we already know that because of songs like "Travelin' Soldier." 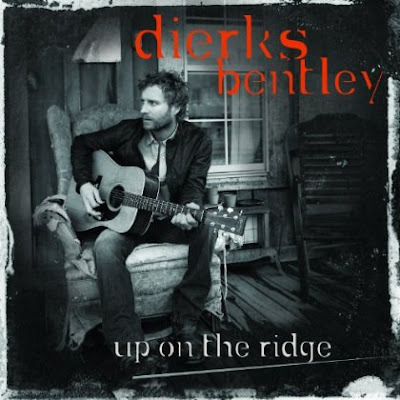 Album Review: Dierks Bentley "Up On The Ridge"
Country music fans have reason to celebrate. Dierks Bentley is back with a unique bluegrass and roots music album titled "Up On The Ridge." This concept album is a major departure for the country music superstar who routinely sells out arenas all over the USA. But fans cannot help but reward Bentley for staying true to his artistic vision and creating a country music masterpiece. "Up On The Ridge" begins with the title track that is already blazing a trail up the country music charts. It has a rugged country sound and a powerful musical beat. The melody is reminiscent of the best music of Josh Turner. It's followed by the alt country love song "Fallin' For You." Bentley's hard vocals combined with the biting lyrics make the song sizzle. 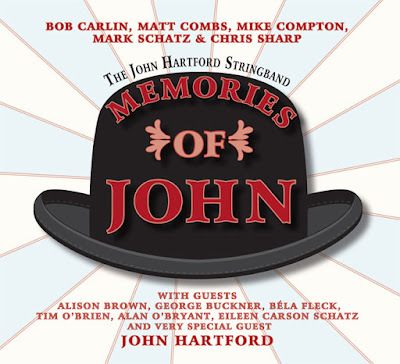 Album Review: John Hartford Stringband "Memories Of John"
John Hartford was known worldwide as a master of the fiddle and banjo. Even though he passed in 2001, his music lives on through the five musicians who appeared on his last several albums on Rounder Records. And 10 years after his death, "Memories Of John" is a fitting tribute to one of the most talented musicians ever to grace a bluegrass festival stage. The album features Chris Sharp (guitar), Bob Carlin (banjo), Matt Combs (fiddle), Mark Compton (mandolin) and Mark Schatz (bass). It begins with the upbeat "Three Forks of Sandy" which brings back great memories of John Hartford. It's followed by a truly brilliant performance of "M.I.S.I.P." Album Review: Gary P. Nunn "Taking Texas To The Country"
Finding an album that a grandson, father and grandfather can enjoy together on a hunting or fishing trip is almost impossible. However, Gary P. Nunn has done it. He's crafted a near perfect Texas country album with "Taking Texas To The Country." It offers a cool Texas country vibe mixed with traditional country sensibilities. The album begins with the melodic "Deja Vu" which allows listeners to step back in time and think of simpler days. It's followed by the Texas country track "The Girl Just Loves To Dance," which deserves to be at the top of the country charts. Gary P. Nunn's vocals have never sounded better. 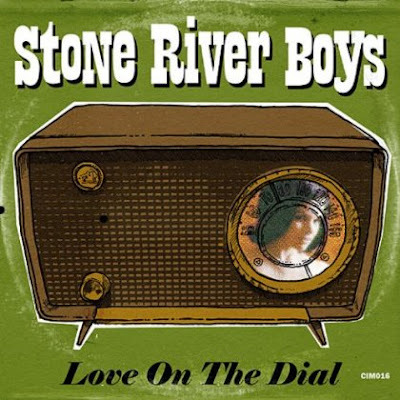 Album Review: Stone River Boys "Love On The Dial"
Uniquely wonderful lyrics and a funky, alt-country sensibility await listeners of the Stone River Boys debut album "Love On The Dial." Indeed, the Austin, Texas band pushes the envelope and will be warmly embraced by country music aficionados as well as fans of the members' previous bands, which include the Hacienda Brothers (guitarist Dave Gonzalez), the Hollsiters (vocalist Mike Barfield) and the Paladins (Gonzalez). The album (clocking in at about 53 minutes) begins with the rockin' "Bluebonnet Blues." The Stone River Boys label the band's music as "country funk," and the moniker really fits. The vocals have a rockabilly spirit that permeates through the entirety of the album. It's followed by the easy going "Can I Change My Mind" and the bluesy "The Struggle." 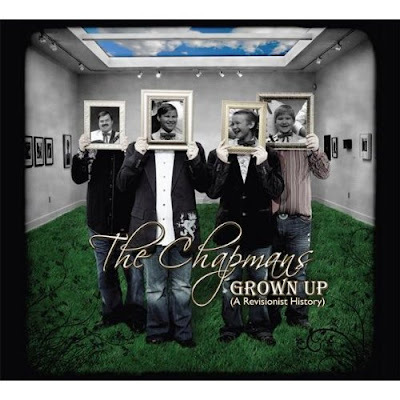 Album Review: The Chapmans "Grown Up - A Revisionist History"
Bluegrass fans can celebrate the tight vocal harmonies of The Chapmans on the band's new album "Grown Up - A Revisionist History." Brothers John, Jeremy and Jason have teamed up with their dad, Bill, to create a gospel-tinged bluegrass treasure that deserves to be revisited over and over again. The album begins with the acapella "Why Did You Lie" with a sound rivaling any quartet in southern gospel music. It's followed by the bluegrass ballad "She's The One" with lyrics as sweet as grandma's peach pie. "Jenny Dear" and "Bubble Gum Baby" share many of the same positive qualities. Chely Wright is one busy lady. Not only does she have a new album and a new book coming out this week, she is set to come out as gay in next week's People Magazine (according to TMZ). The 39-year old will release "Lifted Off The Ground" this week along with her new book "Like Me." Amazon.com is offering a special CD/DVD exclusive version of the album, and Wright's book will set the record straight on her life as a musician and a gay woman. Chely Wright was born born October 25, 1970 in Kansas City, Missouri. She is best known for her Number One country chart hit "Single White Female." In the interview with People Magazine, Wright is expected to detail her hidden lesbian life. 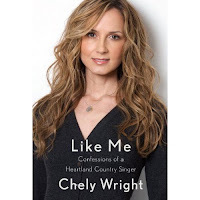 Her new book "Like Me: Confessions Of A Heartland Country Singer" will discuss the struggles faced by a closeted country music singer.